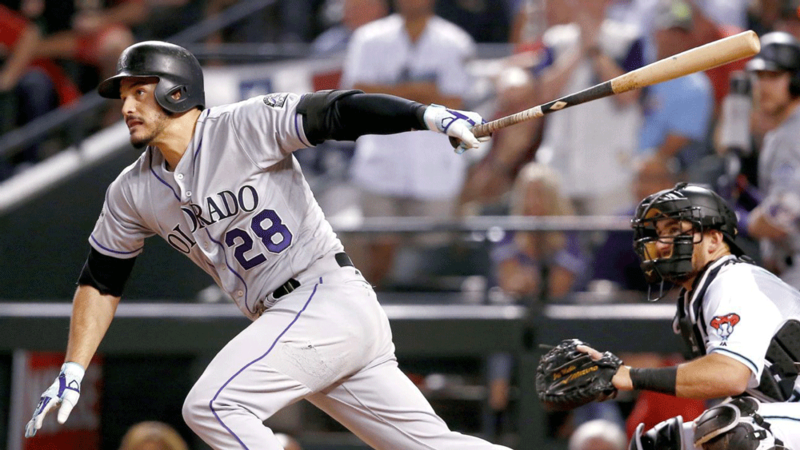 Nolan Arenado agrees to an eight-year, $260 million extension with the Rockies. The third baseman is staying in Colorado! As of February 26, Nolan Arenado and the Rockies are in the final stages of extending his contract, which will now last through the 2026 season, according to ESPN. The eight-year extension, which is worth $260 million, will keep Arenado from reaching free agency following this season. It will also set a per-year record for position players and includes a player opt-out clause after the 2021 season. This new deal eliminates this year's contract, which is due to pay Arenado $26 million and replace it with the $260 million contract -- a record average annual salary of $35 million. Several teams were hoping to pursue Arenado in free agency, including the Los Angeles Dodgers, however, he opted to stay in Colorado. "It's such a great place," Arenado told USA Today Sports, "I really enjoy the fact there's a comfortability here. You know the coaches. You know the players. Some of my best friends are on this team ... I grew up here in this organization, so it feels like home in a way. I've been here since the tide has changed, and that's a really good feeling. I was part of that change." Arenado, a four-time All-Star, six-time Gold Glove winner, has led the Rockies to back-to-back playoff appearances, a first in franchise history. Manager Bud Black has also agreed to an extension with the Rockies, signing a three-year deal through 2022. What do you think? Are you happy that Nolan Arenado is staying with the Rockies? Sound off in the comments below. Check out the Rockies' 2019 spring training schedule!